Below you can view all the homes for sale in the Keswick subdivision located in Lawrenceville Georgia. 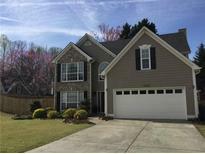 Listings in Keswick are updated daily from data we receive from the Atlanta multiple listing service. To learn more about any of these homes or to receive custom notifications when a new property is listed for sale in Keswick, give us a call at 404-998-4113. Ideal For A Starter Family With Plenty Room To Expand For Years To Come! MLS#6537275. Re/Max Metro Atlanta Cityside. 2 Car Garage W/ Space For Workbench And/Or Xtra Storage. No Hoa! MLS#6527194. Berkshire Hathaway Homeservices Georgia Properties. Full Unfinshed And Stubbed Day-Light Basement And Private, Fenced-In Back Yard. MLS#6513245. Keller Williams Realty Chattahoochee North, Llc.